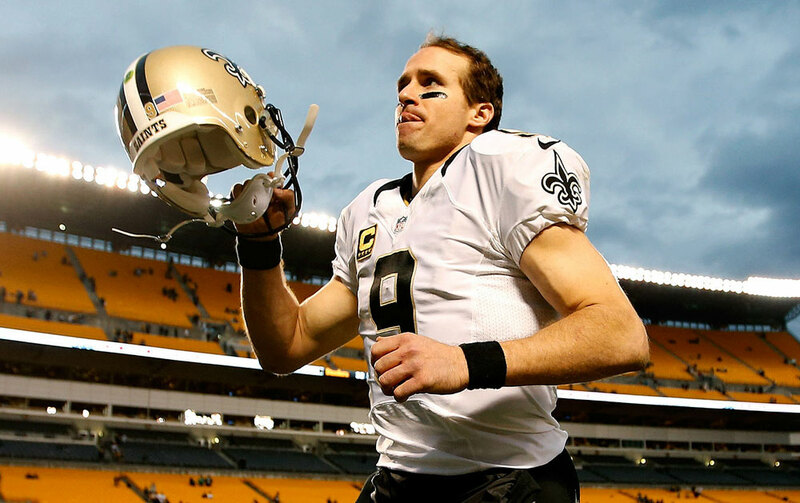 You don’t care about diagnosing a Cover 2, and neither do I, so when I spoke to New Orleans Saints quarterback Drew Brees earlier this week, I asked for some real insight. It was Drew’s 21st interview of the morning, but we got him to light up like a Christmas tree once he told us all about Exertional Heat Stroke (EHS) and why he’s working with The Heat Factor to raise awareness as we enter summer. Drew isn’t just some football-throwing robot that runs on a typical gas/oxygen mixture; he’s a man with experiences and cool stories, just like you. In the following video, Drew talks about killing a crocodile with a knife while hanging with Bear Grylls, how far he can throw a ball left-handed, and what it was like chatting with Dan Patrick in the time slot before us. 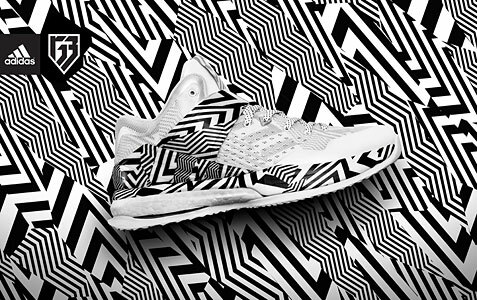 We’ve been fortunate to test some amazing shoes lately, but the all new RG3 Energy Boost Trainers are crazy hot! Adidas and Robert Griffin III recently launched the quarterback’s first signature training shoe, and we would like to report that they are going to be a huge hit for the folks at adidas. RG3’s signature trainer features full-length Boost, adidas’ revolutionary energy-returning cushioning technology, along with a SPRINTWEB upper for maximum comfort, support and breathability. The TORSION SYSTEM, which allows independent movement of fore and rear foot, is fully integrated into the SPRINTFRAME platform. The dynamic fit panels for lockdown work with the seamless strap and the full-length booties offer the ultimate in comfort. Adidas Football’s Carmoflauge colorway is inspired by the automotive industry’s prototype testing process, meant to test future products without revealing design lines. 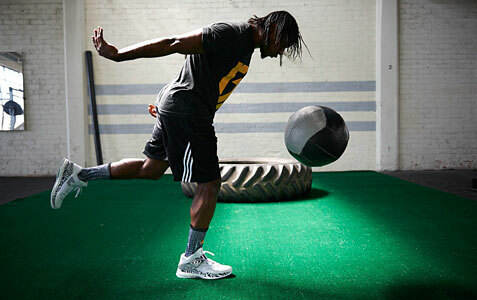 The diamond tread design reflects RG3’s movements on the field and in the gym. The design is sleek and the shoes are so smooth that it feels like you’re walking on air. And considering these are probably the quietest shoes we tested, you can work the field or court and go virtually undetected. Fresh looks along with signature RG3/adidas styling will have these shoes popping off the shelves. Snap up a pair here for around $140.00. Here’s an excellent slideshow courtesy of exotic model Adella Pasos who looks amazing in these photos. We start of the slideshow with a beautiful sunset photo as Adella sports a red bikini as she shows off her 36-24-36 figure, and then we see her in a Miami Dolphins bikini and hat as well. The we have some pics with Adella posed on a motorcycle and next to some muscle cars. Yeah – every man’s fantasy! Adella has an exotic and sultry look that jumps off the screen. Adella was born and raised in Chicago and has been modeling since 2006, working with a wide variety of talented photographers. As she gained exposure, she branched out to organizing promotional modeling events, hosting for celebrity parties, and branding her name as a spokes model. Next, she’ll be working on her acting career. Her interests include football, cars, video games, MMA, modeling, fitness and dance. You can follow Adella on Twitter @adellapasos and check out her Facebook page as well and website as well. 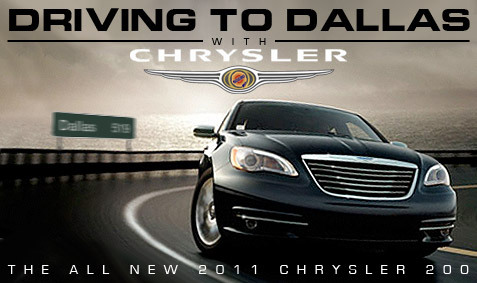 Bullz-Eye is starting its “Driving to Dallas with Chrysler” trip from New Orleans on February 1st! Before our live reports come in from the road in the All New Chrysler 200, go to Chrysler’s Facebook page and check out the app where fans can enter to win the “ultimate football fan pack.” It’s got all kinds of great prizes for the Big Game on Sunday. We’re Driving to Dallas with Chrysler and hoping some of our readers will cash in on some super prizes. 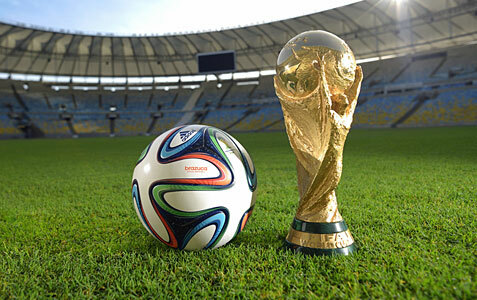 “Get Your Game On” and register to win now.